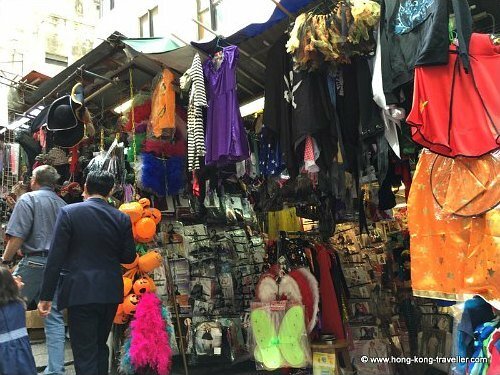 Hong Kong Halloween celebrations were practically nonexistent not too long ago, but have recently become quite popular as more and more, young and old, embrace the chilling spirit of the holiday. It used to be that a handful were joining in the spooky atmosphere in some way or another, whether it was just some decoration or pumpkin here and there or dressing up for the occasion, whereas others did not even know what Halloween was about. In the last couple of years though, it is just as common to see the pumpkins and spiderwebs during this period as it is the red lanterns and firecrackers during Chinese New Year... the demons and vampires have quickly caught up in the territory and Halloween is here to stay. 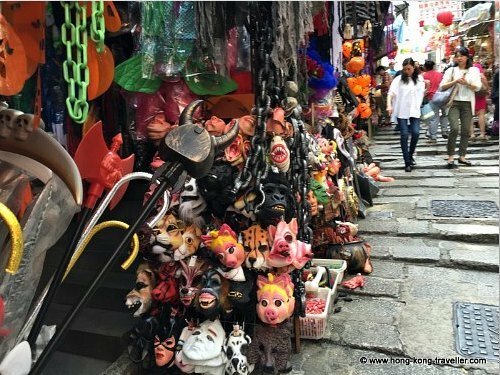 And not only that, it has proved so popular and spread like wildfire, that now Hong Kong is considered the Halloween capital of Asia. The ghostly scenes and decorations start popping up in the shopping centers and theme parks i.e. Disneyland and Ocean Park, where the spirit of the haunted holiday really comes to the fore. The celebrations get bigger and better each year. 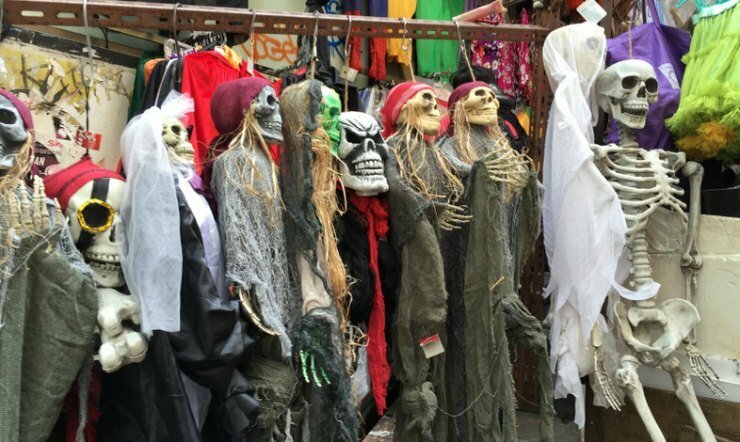 From wildly howling street blowouts, parades and shows to fun and sugary trick-or-treat antics for the kids, there is a wide range of spooky cheer for all to enjoy. What? 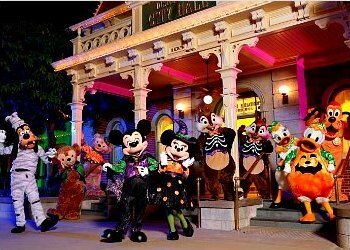 : Trick or Treating with Mickey and the gang, Halloween parade, haunted mansions, creepy surprises! When? : September 13 through October 31, 2018, some events run Thursday through Sunday only. Opening hours are normally extended to 11pm on weekends during this period. What? : Every year, the park goes all out with many featured attractions including fun for the little ones with games, funhouses, costume parties and contests, etc. 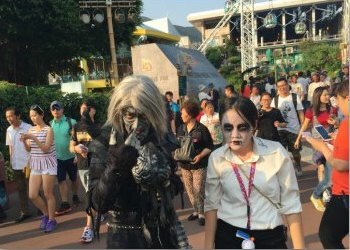 And the heavy-duty horror seekers will not be dissapointed, Ocean Park's array of haunted houses and live shows and concerts feature some of the best technological and state-of-the-art terror design. More about Ocean Park's Halloween Fest. Dead Not Alive's Halloween Party is back on its 11th year featuring a collection of top local and international DJs, the party atracts a full house of Hong Kong's most beautiful celebrities and party people. 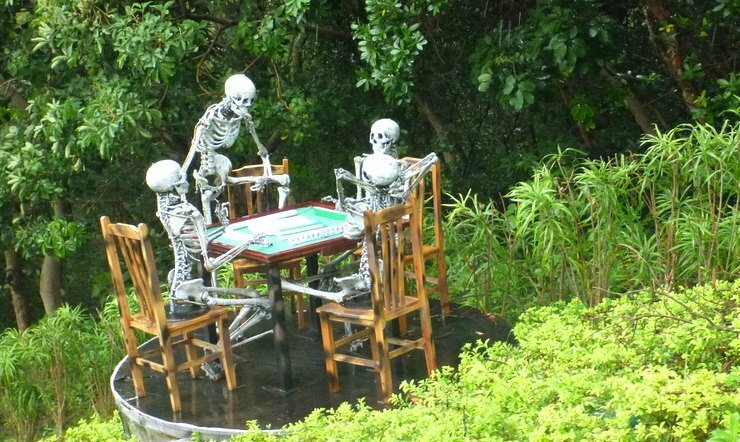 The Dead Not Alive party is always one of Hong Kong's biggest Halloween events. This year's line up include: Whoo's House, King, Pink Land, Hyphen, Stassie, special performance by Mc Han. How Much? Early Bird HK$300. Table packages available. 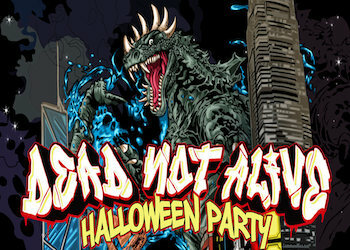 More Info and tickets Alive Not Dead Halloween Party. 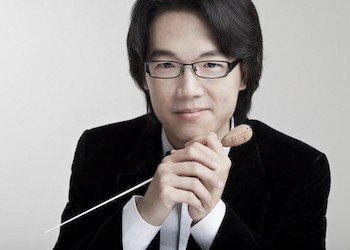 "Magician" Harry Wong (or Harry Gor Gor) and conductor Lio Kuok-man will conjure up some of the creepiest classical music and also spooky theme songs from all-time favourite movies, taking us to a wild and bizarre world of mischievous witches, orgiastic goblins, grinning pumpkins, headless horsemen and dangling skeletons in the Tsuen Wan Town Hall Auditorium. More Info and tickets Hello Harry, Halloween!. What? : A massive outdoor street party that needs no introduction. 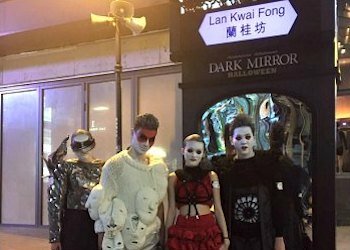 Lan Kwai Fong's reputation as a party mecca is legendary, and come Halloween time, it doesn't dissapoint. This is one massive street party, which seems to be getting bigger every year. Where? 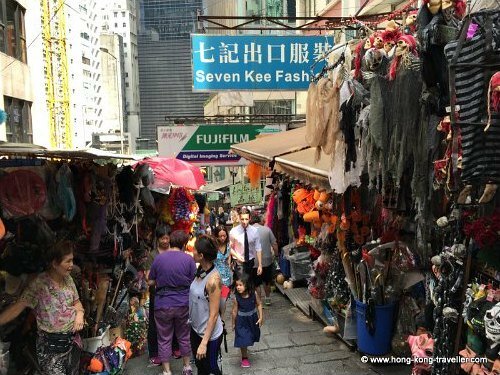 : Take MTR to Central Station Exit D2 and follow the crowds to D'Aguilar Street. What? 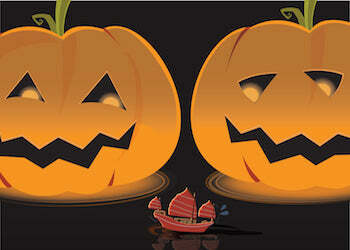 : Halloween aboard a traditional junk? Dukling will be tranforming into a Halloween party junk on 31st October! There will be decoration galore and Trick or Treat with the crew! Sailings will depart as usual from both sides of the Harbour in Tsim Sha Tsui and Central and will last approximately 45 minutes. More Info and Booking at www.dukling.com.hk. 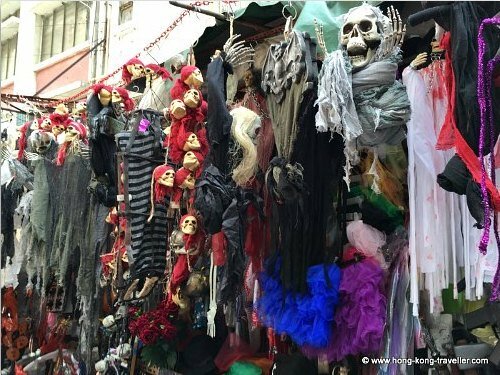 One of the best places for a great variety of cheap Halloween trinkets is Pottinger Street aka Stone Slab Street, just a few blocks south of the Central MTR station. 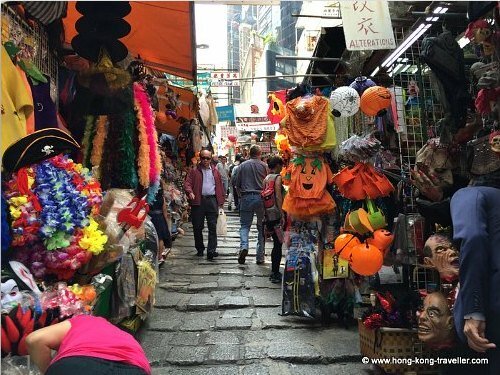 Follow Hong Kong Traveller's board Halloween in Hong Kong on Pinterest.